Ryanair today reported a Q3 net loss of €20m (excl. Lauda). Strong traffic growth (+8%) to 33m was offset by a 6% decline in average fares due to excess winter capacity in Europe. Stronger ancillary revenue growth (+26%) was offset by higher fuel, staff and EU261 costs. “While a €20m loss in Q3 was disappointing, we take comfort that this was entirely due to weaker than expected airfares so our customers are enjoying record low prices, which is good for current and future traffic growth. While ancillary revenues performed strongly, up 26% in Q3, this was offset by higher fuel, staff and EU261 costs”. Q3 revenue increased 9% to €1.53bn, up 1% per guest, due to a strong performance in ancillary revenue and increased traffic stimulated by a 6% decline in average fares to under €30 due to excess short-haul capacity in Europe. Ryanair Labs continues to drive ancillary revenue. In Q3 priority boarding and reserved seating grew strongly. A transformational improvement of the airline’s digital platform is underway (website, app and 3rd party ancillary plug-ins) and will be completed before year-end. Ryanair has the lowest unit costs of any EU airline and this gap is widening. 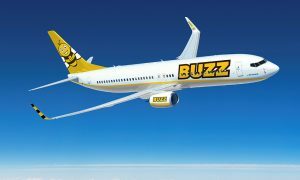 The airline will take delivery of its first five Boeing 737 MAX “gamechanger” aircraft from April. These aircraft have 4% more seats, are 16% more fuel efficient, have 40% lower noise emissions and are hedged at an average €/$ rate of $1.24 out to FY24. They will drive unit cost efficiencies over the next 5 years. As consolidation continues and weaker European airlines fail (or sell), airports are increasingly keen to attract Ryanair’s traffic growth. In Q3 ex-fuel unit costs increased by 6%. 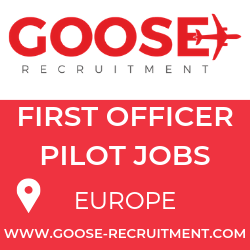 This includes higher staff costs, including the 20% pilot pay increases, investment in engineering headcount, pilot/cabin crew training, and elevated EU261 costs due to the high number of ATC staff shortages/disruptions in FY19. Ryanair has extended its fuel hedges and is 90% hedged for FY20 at c.$71bbl and 13% hedged for Q1 FY21 at c.$63bbl. The Group’s balance sheet (BBB+ rated) remains one of the strongest in the industry with €2.2bn gross cash and 93% of its fleet owned, 60% of which is unencumbered. 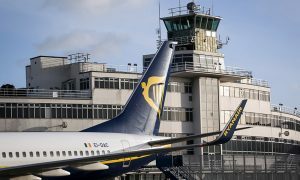 In the first 9 months of FY19 Ryanair generated almost €560m net cash from operations, spent €1.2bn on capex (primarily aircraft, simulators, engines, hangars and spare parts), returned €560m to shareholders via share buybacks, and repaid over €230m debt. As a result, net debt increased to €1.5bn at quarter end. In December, Ryanair acquired the remaining 25% of Laudamotion. This Austrian airline will carry just over 4m customers in its first (startup) year, but was heavily loss-making, mainly due to the very late release of S.18 schedules, low promotional fares, expensive aircraft leases and unhedged fuel. Due to recent improvements in schedules, fares and costs, the exceptional year 1 start-up loss has been reduced from an expected €150m to approx. €140m. Lauda is now gearing up for its second year with an increased fleet of 25 aircraft (from 19 in the prior year), traffic growth to 6m guests, lower cost fuel hedges, and we expect losses to narrow substantially to between €50m and breakeven depending on S.19 peak season yields. By year 3 Lauda is on track to grow to over 7.5m customers and profitability. Other airlines have also cut or closed bases in response to lower fares and higher fuel costs. Ryanair closed unprofitable bases in Bremen and Eindhoven and we cut aircraft numbers in Niederrhein and Hahn. Norwegian have closed multiple bases, many where they compete with Ryanair, including Rome, Las Palmas, Palma, Tenerife, Edinburgh & Belfast, and will cut their Dublin base from 6 to 1 aircraft in October. Wizz (Poznan), Lufthansa (Dusseldorf) and EasyJet (Oporto) have also announced base cuts and/or closures in recent months. We expect more closures and airline failures in 2019 due to overcapacity in the European market, which is causing continued fare weakness. “The risk of a “no deal” Brexit remains worryingly high. 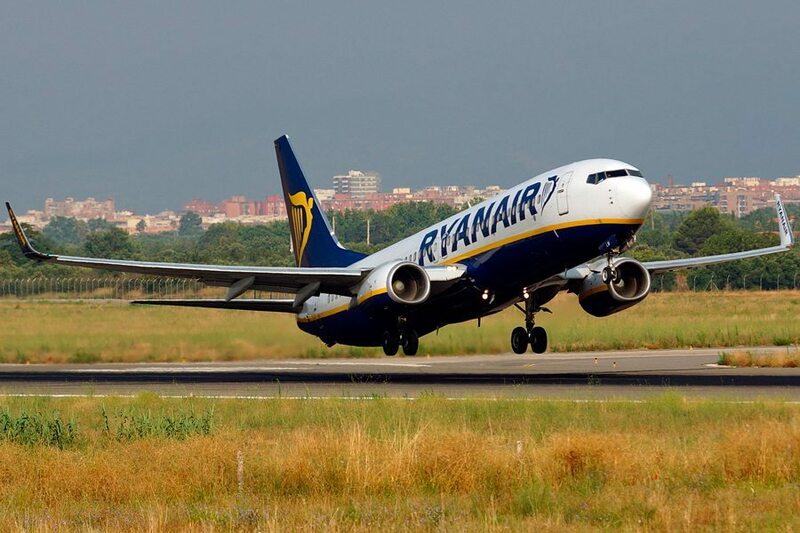 While we hope that common sense will prevail and lead to either a delay in Brexit or agreement on the 21-month transition deal currently on the table, we have taken all necessary steps to protect Ryanair’s business in a no-deal environment,” the airline said in a statement. “We have now obtained a UK AOC to protect our 3 domestic UK routes, and we will place restrictions on the voting rights and share sales of non-EU shareholders for a period of time (in the event of a hard Brexit) to ensure that Ryanair remains at all times an EU owned and EU controlled airline, even if the UK exits the EU without a deal”. Over the next 12 months, Ryanair Holdings Plc will move to a group structure not dissimilar to that of IAG. A small senior management team will oversee the development of 4 airline subsidiaries; Ryanair DAC, Laudamotion, Ryanair Sun and Ryanair UK, each with their own CEOs and management teams. Holdings will focus upon efficient capital allocation, cost reductions, aircraft acquisitions and small scale M&A opportunities. 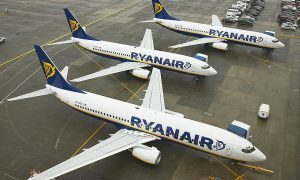 Having agreed this group strategy as the best way to grow Ryanair, Sun, Lauda and other possible airline brands, Michael O’Leary has agreed to a new 5-year contract as Group CEO, which secures his services for the group until at least July 2024. His agreement to commit for a 5 year period is welcome and will give certainty to our shareholders and allow him to guide the individual CEO’s of Ryanair, Laudamotion and Ryanair Sun.